PM Theodore (Tod) Sizer is Head of IP and Optical Network Research in Nokia Bell Labs, leading teams innovating in all aspects of IP and optical solutions for core, submarine, and data center communications. Prior to this, he was Head of Wireless Research, leading the company’s vision and research for 5G. Tod has had significant impact as a key proponent and inventor of the lightRadio™ and small-cell technology. Tod received his Masters and Doctorate in Optics from the University of Rochester. In 2007, Tod was named a Bell Labs Fellow “For sustained creative contributions to wireless systems, particularly in the convergence of packet and wireless technologies” and, in 2012, was named a WWRF Fellow. In 2012, he received the Popular Science Breakthrough Innovation award for lightRadio. 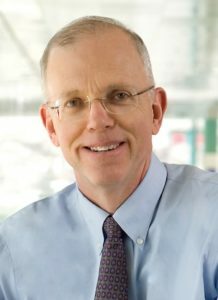 He was named an IEEE Fellow in 2015 for “Leadership in wireless communications technology.” Tod has 52 US patents and over 50 refereed publications. Jon Stevenson is the CTO of Stratasys Inc., the world leader in 3D printing and additive manufacturing. Prior to acquisition by Stratasys, he was an angel investor in and executive at GrabCAD, the world’s largest and fastest growing community of mechanical engineers and CAD professionals. Jon has had a 30-year career as a software executive, primarily focused on software for the manufacturing industry. He has served as the Executive VP at PTC, the Managing Director of Shape Data, and an executive at Siemens PLM. Shape Data developed the Parasolid modeling kernel, the solid modeler that powers the world’s most popular mechanical CAD systems. Jon has also been a founder or executive at three successful start-ups outside the manufacturing space, and is a member of the Board of Directors of Dragon Innovation and a technology advisor to Vention. Jon has received patents for his work in both CAD/ CAM and software application security. Antonio Ortega received the Telecommunications Engineering degree from the Universidad Politecnica de Madrid in 1989 and the Ph.D. in EE from Columbia University in 1994. In 1994, he joined the EE department at the University of Southern California, where he is currently a Professor and has served as Associate Chair. 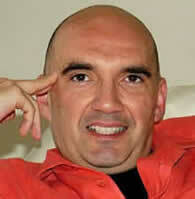 Antonio is a Fellow of the IEEE (2007), and a member of ACM and APSIPA. He is currently a member of the Board of Governors of the IEEE Signal Processing Society. He is the inaugural Editor-in-Chief of the APSIPA Transactions on Signal and Information Processing, launched by APSIPA and Cambridge University Press in 2012. Antonio has received several paper awards, including the 2016 Signal Processing Magazine award and was a plenary speaker at ICIP 2013. He has supervised 40 Ph.D. students, and his work has led to over 300 publications in international conferences and journals, as well as several patents. 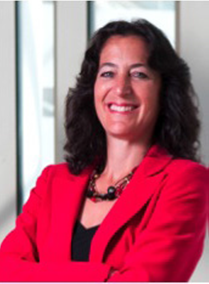 Dr. Meyerson, an IBM Fellow, serves as IBM’s Chief Innovation Officer. He also leads technical strategy and corporate initiatives within IBM’s Corporate Strategy Organization. In 1980, Dr. Meyerson joined IBM Research, leading the development of high performance silicon:germanium communications technology. He founded and led IBM’s highly successful Analog and Mixed Signal business until 2003, moving on to lead IBM’s global semiconductor development alliances. Broadening his scope, in 2006 he assumed leadership of strategic alliances for the Systems and Technology Group. 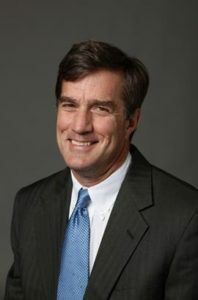 In 2010 he assumed the role of Chief Innovation Officer, his team focusing on the early identification of major technical and/or business discontinuities impacting business and society, their driving innovation across the breadth of IBM as required to proactively address the opportunities such discontinuities create. In 2013, his team integrated into IBM’s corporate strategy function, responsible for corporate-wide technical and business strategic initiatives. He also serves as Chairman of the World Economic Forum’s Meta-Council on Emerging Technology, bringing forward the top 10 technology innovations seen globally each year to the WEF meeting in Davos. Dr. Meyerson is a Fellow of the American Physical Society and the Institute of Electrical and Electronics Engineers (IEEE) and a member of the United States National Academy of Engineering. His numerous technical and business awards include: the Materials Research Society Medal, the Electrochemical Society Electronics Division Award, the IEEE Ernst Weber Award, the Electron Devices Society J. J. Ebers Award, and the 2007 Lifetime Achievement Award from SEMI. He most recently was honored with 2011 Pake Prize of the American Physical Society, recognizing his combined original scientific research and subsequent leadership in creating a major new business for IBM. In 2014 Dr. Meyerson was honored by selection to present the Turing Lectures at the Royal Institute in London, as well as across the UK, honoring Alan Turing, the individual credited with the creation of modern computer science. Most recently, Dr. Meyerson was honored with the National Medal for Public Service by the government of Singapore. 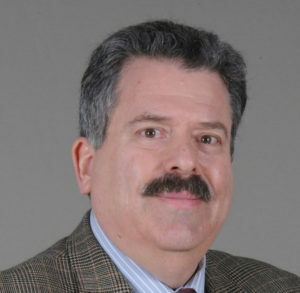 For his innovation efforts, Dr. Meyerson was cited as “Inventor of the Year” by the New York State Legislature in 1998, “United States Distinguished Inventor of the Year” by the US IP Law Association and the Patent and Trademark office in 1999, and again recognized in May of 2008 as “Inventor of the Year” by the New York State Intellectual Property Lawyers Association. Robert W. Heath Jr. received the Ph.D. in EE from Stanford University. 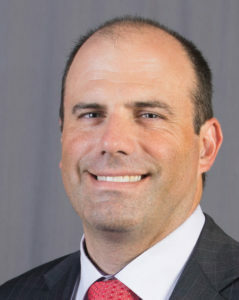 He is a Cullen Trust for Higher Education Endowed Professor in the ECE Department at The University of Texas at Austin and a Member of the Wireless Networking and Communications Group. He is also the President and CEO of MIMO Wireless, Inc., and Chief Innovation Officer at Kuma Signals, LLC. 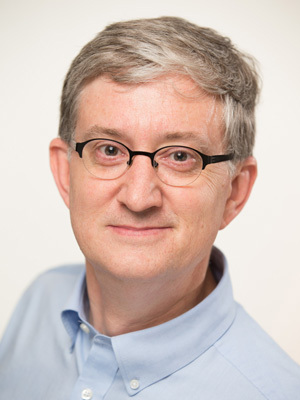 Prof. Heath has received several best paper awards including the 2012 Signal Processing Magazine Best Paper award, the 2014 Journal of Communications and Networks best paper award, the 2016 IEEE Communications Society Fred W. Ellersick Prize, and the IEEE Communications Society and Information Theory Society Joint Paper Award. He is a co-author of Millimeter Wave Wireless Communications (Prentice Hall, 2014) and sole author of Digital Wireless Communication: Physical Layer Exploration Lab Using the NI USRP (National Technology and Science Press, 2012). He is a licensed Amateur Radio Operator, a registered Professional Engineer, and a Fellow of the IEEE. Gerhard P. Fettweis earned his Ph.D., under H. Meyr, from RWTH Aachen in 1990. After one year at IBM Research in San Jose, CA, he moved to TCSI Inc., Berkeley, CA. Since 1994, he is Vodafone Chair Professor at TU Dresden, Germany, with twenty companies from Asia, Europe, and the US sponsoring his research on wireless transmission and chip design. He coordinates two DFG (German Research Foundation) centers, namely cfaed (center for advancing electronics Dresden) and HAEC (Highly Adaptive Energy-Efficient Computing). Fettweis is an IEEE Fellow and a member of the acatech (German National Academy of Science and Engineering), and his most recent award is the Stuart Meyer Memorial Award from the IEEE Vehicular Technology Society. He has spun-out eleven start-ups, and set up funded projects in volume of close to EUR 1/2 billion. He has also helped organize IEEE conferences, most notably as TPC Chair of ICC 2009 and TTM 2012, and as General Chair of VTC Spring 2013 and DATE 2014. 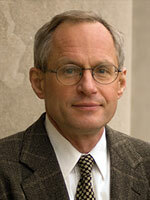 David Munson is the Robert J. Vlasic Dean of Engineering at the University of Michigan. He received a B.S. in electrical engineering from Delaware and M.S., M.A., and Ph.D. degrees from Princeton. Prior to Michigan, he was on the faculty at Illinois. Munson’s research is focused on signal processing issues in imaging systems, especially synthetic aperture radar. 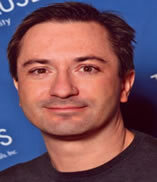 He is co-founder of InstaRecon, Inc., which is commercializing fast algorithms for image formation in computer tomography. He is co-author of the Infinity Project textbook on the digital world, which has been used in about 400 high schools nationwide. 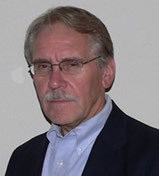 Munson is an IEEE Fellow, a past president of the IEEE Signal Processing Society, founding editor-in-chief of the IEEE Transactions on Image Processing, and co-founder of the IEEE International Conference on Image Processing. Among multiple teaching awards and other honors, he was presented the Society Award of the IEEE Signal Processing Society. 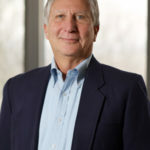 John Rogers is the Swanlund Chair at the University of Illinois at Urbana/Champaign and Director of the Seitz Materials Research Laboratory. Rogers research includes basic and applied aspects of materials for unusual electronic and photonic devices, with an emphasis on bio-integrated and bio-inspired systems. He has published more than 500 papers and is inventor on over 80 patents, more than 50 of which are licensed or in active use. Rogers is a Fellow of the IEEE, APS, MRS and AAAS, and a member of the National Academy of Engineering, the National Academy of Sciences and the American Academy of Arts and Sciences. 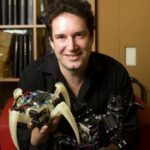 His research has been recognized with many awards, including the ACS Baekeland Award (2007), a MacArthur Fellowship (2009), the Lemelson-MIT Prize (2011), the MRS Mid-Career Researcher Award (2013), the Smithsonian Award for American Ingenuity (2013) and the ETH Zurich Chemical Engineering Medal (2015). 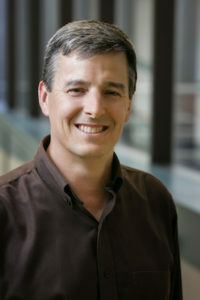 Rogers earned his Ph.D. from MIT in 1995. Aydogan Ozcan is the Chancellor’s Professor at UCLA and an HHMI Professor with the Howard Hughes Medical Institute, where he leads the Bio- and Nano-Photonics Laboratory at UCLA School of Engineering. Ozcan holds 22 patents and is the co-author of over 350 peer reviewed research articles. 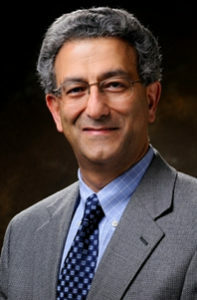 A Fellow of SPIE and OSA, Ozcan’s major honors include PECASE, SPIE Biophotonics Technology Innovator Award, ARO Young Investigator Award, NIH Director’s New Innovator Award, ONR Young Investigator Award, IEEE Photonics Society Young Investigator Award and MIT’s TR35 Award for his seminal contributions to near-field and on-chip imaging, and telemedicine based diagnostics. He also received the National Geographic Emerging Explorer Award, The Grainger Foundation Frontiers of Engineering Award, Popular Science Brilliant 10 Award, Gates Foundation Grand Challenges Award, Popular Mechanics Breakthrough Award, Netexplorateur Award, Microscopy Today Innovation Award, Wireless Innovation Award and Okawa Foundation Award. Reinaldo Valenzuela received a Bachelor of Science degree from the University of Chile and a Ph.D. from Imperial College. He is currently Director of the Wireless Communications Research Department at Bell Laboratories, and is a Distinguished Member of Technical Staff. Valenzuela has been at the forefront of many recent advances in wireless systems; his research includes propagation measurements and models, MIMO/space time systems achieving high capacities using transmit and receive antenna arrays, HetNets, small cells, and next generation air interface techniques and architectures. The author of more than 185 papers, he has forty-four issued patents and more than 20,000 citations in Google Scholar. Valenzuela is a ‘Highly Cited Author’ in Thomson ISI, a Fulbright Senior Specialist, an IEEE Fellow and a Bell Labs Fellow. For his pioneering contributions to MIMO technology, he was awarded the 2010 IEEE Eric E. Sumner Award. Jan Allebach is the Hewlett-Packard Distinguished Professor of Electrical and Computer Engineering at Purdue University. He holds courtesy appointments in Computer Science and Psychological Sciences. Technologies developed in his laboratory have been licensed to major vendors of printers, and can be found in products that have sold hundreds of millions of units world-wide. 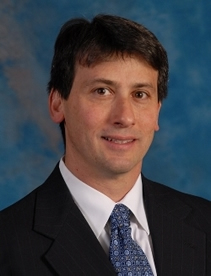 Allebach is a Fellow of IEEE, the Society for Imaging Science and Technology (IS&T), and SPIE. He was named Electronic Imaging Scientist of the Year by IS&T and SPIE, and was named Honorary Member of IS&T, the highest award that IS&T bestows. He received the IEEE Daniel E. Noble Award (a Technical Field Award), and was elected to membership in the National Academy of Engineering, both for his work on digital halftoning. Allebach’s career honors from Purdue University include ten different awards for teaching, mentorship and research. Naomi Halas is the Stanley C. Moore Professor in Electrical and Computer Engineering; professor of Biomedical Engineering, Chemistry, Physics and Astronomy; and founding director of the Laboratory for Nanophotonics at Rice. A pioneer in plasmonics, Halas created the concept of the “tunable plasmon” and invented nanoparticles with resonances spanning the visible and infrared regions of the spectrum. She has over 250 refereed publications, fifteen issued patents, and 30,000 citations to her work. She is co-founder of Nanospectra Biosciences, developing photothermal therapies for cancer and other diseases, and co-founder of Eureka Sun, commercializing nanoparticle-based solar steam generation. Halas is a member of the National Academy of Sciences, the National Academy of Engineering and the American Academy of Arts and Sciences. She is a recipient of the APS 2014 Frank Isakson Prize for Optical Effects in Solids. She is a Fellow of OSA, APS, IEEE, AAAS, SPIE and MRS.
Linda Petzold is currently Professor in the Department of Computer Science (Chair 2003-2007) and the Department of Mechanical Engineering, and Director of the Computational Science and Engineering Graduate Emphasis at the University of California Santa Barbara. 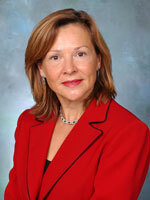 She is a member of the National Academy of Engineering and a Fellow of ACM, ASME, SIAM and AAAS. 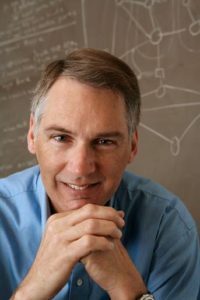 Dr. Petzold was named the UCSB Faculty Research Lecturer for 2011, and was awarded the SIAM/ACM Prize for Computational Science and Engineering in 2013. Her research focuses on modeling, simulation and analysis of multiscale systems in biology and materials. Dr. Petzold received B.S. and Ph.D. degrees from the University of Illinois Urbana-Champaign. Jonathan Turner holds the Barbara and Jerome Cox Chair of Computer Science at Washington University, where he has been since 1983. For most of his career, his research concentrated on high performance networks. His current focus is on overlay networks that provide advanced network services to demanding distributed applications, such as large-scale virtual worlds. Dr. Turner was a Member of Technical Staff at Bell Labs (1977-1983), and was co- founder and Chief Scientist for Growth Networks, a startup company that developed scalable switching components for Internet routers and ATM switches, before being acquired by Cisco Systems in early 2000. 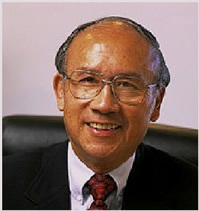 He is a Fellow of both ACM and IEEE, a member of the National Academy of Engineering, and received the IEEE Koji Kobayashi Computers and Communications Award (1994) and the IEEE Millennium Medal (2000). Dr. Turner received M.S. and Ph.D. degrees from Northwestern University. 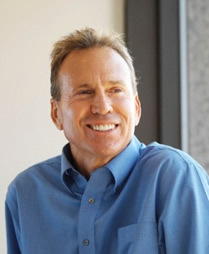 David Welch co-founded Infinera, and served as CTO, CMO, CSO and EVP before his appointment as President in June 2013. He is currently serving a second term on the Board of Directors. Previously, he was CTO and VP Corporate Development at SDL. Dr. Welch holds over 130 patents, and has been awarded the Adolph Lomb Medal, Joseph Fraunhofer Award and the John Tyndall Award in recognition of his technical contributions to the optical industry. He is a Fellow of the OSA and the IEEE. Dr. Welch holds a B.S. in Electrical Engineering from the University of Delaware and a Ph.D. in Electrical Engineering from Cornell University. Andrea Goldsmith is the Stephen Harris Professor in the School of Engineering and a Professor of EE at Stanford University. She co-founded and serves as CTO of Accelera, Inc., which develops software-defined wireless network technology, and previously co-founded and served as CTO of Quantenna Communications Inc., which develops high-performance WiFi chipsets. Dr. Goldsmith is a Fellow of the IEEE and of Stanford, and she has received several awards for her work, including the National Academy of Engineering Gilbreth Lecture Award, the IEEE Wireless Communications Technical Committee Recognition Award, the Alfred P. Sloan Fellowship, and the Silicon Valley/San Jose Business Journal’s Women of Influence Award. She is author of Wireless Communications and co-author of MIMO Wireless Communications and Principles of Cognitive Radio. Dr. Goldsmith received B.S., M.S. and Ph.D. degrees from the University of California Berkeley. Theodore S. Rappaport is the David Lee/Ernst Weber Professor of EE at the Polytechnic Institute of NYU, as well as a professor at the Courant Institute of Mathematical Sciences, and at the NYU School of Medicine. He also is Director of the NSF Industrial/University Collaborative Research Center for WICAT, which includes the two programs he founded at Texas (WNCG) and Virginia Tech (MPRG). He is a pioneer in radio propagation, and he and his students invented the technology of site-specific RF modeling and design, now used routinely in wireless communications. He is a Fellow of the IEEE, and, has won numerous awards, including the Marconi Young Scientist Award in 1990, the Fredrick E. Terman Outstanding EE Faculty Award in 2002, and the Sir Monty Finniston medal from the Institution of Engineering and Technology in 2011. Dr. Rappaport has over 100 patents and numerous books, including the best-selling textbook Wireless Communications: Principles & Practice. He has also been an entrepreneur. In 1989, he founded TSR Technologies, a software radio manufacturer, and, in 1995, Wireless Valley Communications, a pioneer in site-specific propagation software. He received B.S. (1982), M.S. (1984), and Ph.D. (1987) degrees from Purdue, and is an Outstanding EE Alumnus. Elaine Weyuker recently left AT&T Labs where she was an AT&T Fellow doing software engineering research. 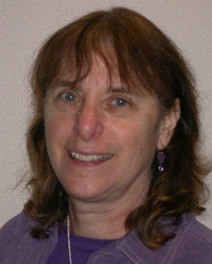 Prior to moving to AT&T, she was a professor of computer science at NYU’s Courant Institute of Mathematical Sciences. Her research interests currently focus on software fault prediction, software testing, and software metrics and measurement. 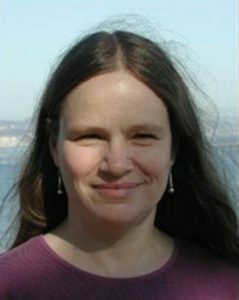 In an earlier life, she did research in the theory of computation and is the co-author of a book Computability, Complexity, and Languages. She is a member of the National Academy of Engineering, an IEEE Fellow, and an ACM Fellow, and has received IEEE’s Harlan Mills Award for outstanding software engineering research, and the ACM/SIGSOFT Outstanding Research Award. Dr. Weyuker is also the recipient of the 2011 US President’s Volunteer Service Award, the 2010 ACM President’s Award, the ACM SIGSOFT Retrospective Impact Paper Award in 2009, the 2008 Anita Borg Institute Technical Leadership Award, Rutgers University 50th Anniversary Outstanding Alumni Award, and the AT&T Chairman’s Diversity Award as well has having been named a Woman of Achievement by the YWCA. She has been the chair of the ACM Women’s Council since 2004 and a member of the Executive Committee of the Coalition to Diversify Computing. Frederick L. Kitson is Executive VP and CTO at DTS, where he oversees all R&D and engineering functions that, under his leadership, are expanding innovation efforts and building business more broadly in emerging areas of the consumer electronics market. 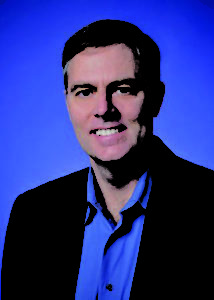 Prior to joining DTS, he was with Motorola where he led the Corporate R&D Applied Research Center as VP. Some of the most significant contributions included the development of a MPEG-4 encoder/decoder that delivers high-quality video on mobile phones, liquid media concept and technologies to facilitate “seamless media,” and home media servers to enable enhanced communications. Prior to Motorola, Dr. Kitson was with HP and led various research and development efforts relating to multimedia coding, lossless compression, mobile content delivery, and video-on-demand. Recently, he has served as an adjunct faculty member at Georgia Tech, where he was inducted into the Academy of Distinguished Engineering Alumni in 2001. 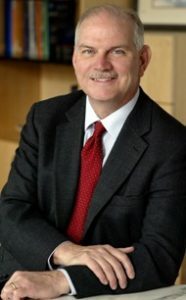 He has served on the boards of several universities, and currently serves on the engineering advisory boards of Georgia Tech, Carnegie Mellon, and Delaware. Dr. Kitson holds a B.S. from Delaware, a M.S. from Georgia Tech, a Ph.D. from Colorado, and completed an executive program at the Graduate School of Business at Stanford. Thomas L. Koch is the Dean of the College of Optical Sciences at the University of Arizona. He received an A.B. in physics from Princeton (1977) and a Ph.D. from Cal Tech (1982). He then joined Bell Labs, where he led research and prototyping of semiconductor lasers and advanced photonic devices. From 1995 to 1996, Dr. Koch was VP of R&D at SDL; he then returned to Bell Labs/Lucent to become CTO of optoelectronic products and director of photonics research. In 2000, he became VP of technology platforms at Lucent and then Agere, where he managed the R&D of optoelectronics and integrated circuit devices during the telecommunications boom. Dr. Koch joined Lehigh in 2003 where he was the Daniel E. ’39 and Patricia M. Smith Chair and professor of ECE and of physics, as well as the Director of the Center for Optical Technologies. He is a member of the National Academy of Engineering and a Fellow of IEEE, the Optical Society, and Bell Labs. In 1991, he won the IEEE Photonics Society’s William Streifer Award for Scientific Achievement. He was awarded IEEE’s Eric E. Sumner Award in 2008, for pioneering contributions to optoelectronics and optical communications. 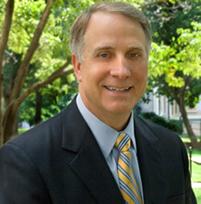 James W. Wagner, president of Emory University, is an award-winning teacher and scientist. He earned his B.S. in electrical engineering in 1975 from Delaware and a M. S. (1978) and Ph.D. (1984) from Johns Hopkins. Following a distinguished tenure on the faculty of Johns Hopkins, he served as dean, provost, and interim president of Case Western Reserve University. He has authored more than 115 publications and has served on the editorial boards for several publications. In 2007, he received the Distinguished Alumnus Award from Johns Hopkins. In 2009, he was elected a Fellow in the AAAS, and, in 2011, received the President’s Award of the National Association of Student Personnel Administrators for Region III. 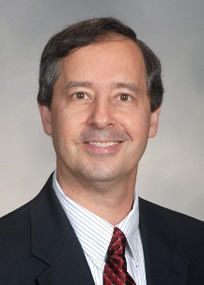 Currently, Dr. Wagner serves on the boards of The Carter Center, the Georgia Research Alliance, SunTrust Banks, the Metro Atlanta Chamber of Commerce, the Atlanta Regional Council for Higher Education, and the Woodruff Arts Center. In 2009, he was appointed by President Obama as Vice-Chair of the Presidential Commission for the Study of Bioethical Issues. H. Vincent Poor is the Michael Henry Strater University Professor of Elec. Eng. at Princeton, where he is also Dean of the School of Engineering and Applied Science. His current research interests lie primarily in the area of wireless networking and related fields. Among his publications in these areas are the recent books Quickest Detection (Cambridge, 2009) and Information Theoretic Security(NOW, 2009). He is a member of the National Academy of Engineering and the National Academy of Sciences, and is a Fellow of the IEEE, AAAS, and the Royal Academy of Engineering of the U.K. He has served as President of the IEEE Information Theory Society, and as Editor-in-Chief of the IEEE Transactions on Information Theory. In 2005, he received the IEEE Education Medal. 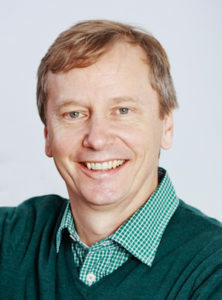 Recent recognition of this work includes the 2009 Edwin Howard Armstrong Achievement Award of the IEEE Communications Society, the 2010 IET Ambrose Fleming Medal for Achievement in Communications, the 2011 IEEE Eric E. Sumner Award, and an honorary doctorate from the University Edinburgh, awarded in June 2011. 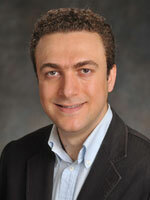 Nader Engheta is the H. Nedwill Ramsey Professor of Elec. and Sys. Eng., and Professor of Bioengineering, at Penn. He received his B.S. from the University of Tehran, and his M.S and Ph.D. from Caltech. 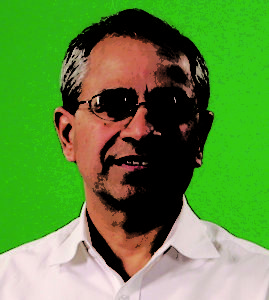 He was selected as one of the Scientific American Magazine 50 Leaders in Science and Technology in 2006 for developing the concept of optical lumped nanocircuits, and, among other awards, he is a Guggenheim Fellow, an IEEE Third Millennium Medalist, a Fellow of IEEE, APS, OSA, AAAS, and SPIE, the recipient of the 2008 George H. Heilmeier Award for Excellence in Research and the Fulbright Naples Chair Award, as well as several teaching awards. He has been selected to receive the 2012 IEEE Electromagnetics Award for his pioneering contributions metamaterials and nanoscale optics. His current research activities span a broad range of areas including metamaterials and plasmonics, nanooptics and nanophotonics, biologically-inspired sensing and imaging, miniaturized antennas and nanoantennas, physics and reverse-engineering of polarization vision in nature, mathematics of fractional operators, and physics of fields and waves phenomena. 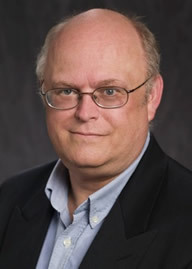 Thomas Sterling is a Professor of Informatics and Computing at Indiana University (IU), as well as serving as Director of the Laboratory for System Science and Eng. at the IU Center for Research in Extreme Scale Technology. 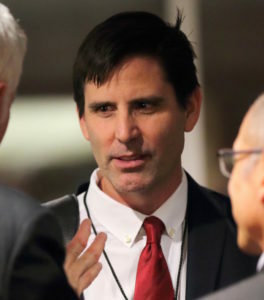 He also is an Adjunct Professor at LSU and CSRI Fellow at Sandia National Laboratories. Since receiving his Ph.D from MIT in 1984, he has engaged in applied research in parallel computing system structures, semantics, and operation in industry, government labs, and academia. He is best known as the “father of Beowulf” for his pioneering research in commodity/Linux cluster computing. He was awarded the Gordon Bell Prize in 1997 with his collaborators for this work. Dr. Sterling currently leads the ParalleX Research Group to devise a new model of computation establishing the foundation principles for the development of future generation Exascale computing systems by the end of this decade. His research has been sponsored by NSF, NASA, NSA, DOE, DARPA, Army Core of Engineers, and Microsoft. He is the co-author of six books and holds six patents. Tingye Li retired in 1998 after 41 years at AT&T. Since joining Bell Labs in 1957, he has contributed more than 100 journal papers, patents, books and book chapters. His early work, considered a classic, established the basis for the understanding of laser operation. Since the late 1960s, he has been engaged in pioneering research on lightwave systems, which are now ubiquitously deployed worldwide. His latest work with his colleagues on amplified WDM systems has revolutionized long-distance communications. He holds a Ph.D. from Northwestern, and is a Fellow of numerous societies including OSA, IEEE, AAAS, and the Photonic Society of Chinese-Americans. He is a member of the National Academy of Engineering and the Academia Sinica, and a Foreign Member of the Chinese Academy of Engineering. Among the many awards he has received are the IEEE 1975 W. R. G. Baker Prize, the IEEE 1979 David Sarnoff Award, the OSA/IEEE 1995 John Tyndall Award, the 1997 AT&T Science and Technology Medal, and the IEEE 2004 Photonics Award. 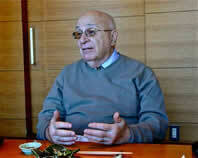 He has been active in various professional societies, and was President of OSA in 1995. Joseph Bordogna is Alfred Fitler Moore Professor of Eng. at the Univ. of Pennsylvania where he served as Director of The Moore School and Dean of the School of Eng. and Applied Science. His career includes experience as an officer in the U.S. Navy, an engineer in industry, a presidential appointee in the federal government, and President of IEEE. From 1991 to 2005, he served at NSF, first as head of the Directorate for Eng., then as Deputy Director and COO. Complementary to these tasks he was a member of the President’s Management Council and chaired committees in the President’s National Science and Technology Council. He holds B.S.E.E. and Ph.D. degrees from Penn, the S.M. degree from MIT, and several honorary doctorate degrees. Presently, he is working with integrative teams focused on developing talent, techniques, and tools necessary for regional prosperity. A Fellow of IEEE and Eminent Member of Eta Kappa Nu, he received the IEEE Mulligan Education Award, the NSF Distinguished Service Medal, was elected to the ASEE Hall of Fame of Eng. Educators, and a plateau in Antarctica is named Bordogna Plateau in recognition of his NSF Antarctic activities. 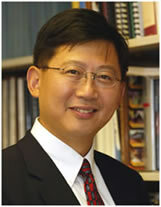 Stephen Chou is the Joseph C. Elgin Professor of Eng., the head of the NanoStructure Laboratory at Princeton Univ., a member of the U.S. National Academy of Engineering. He received his Ph.D. from MIT in 1986, and, over the past 28 years, has carried out pioneering research and inventions in creating new nanopatterning methods and in scaling electronic, optical, magnetic and biological devices into new physical (nano) regimes. His key inventions and breakthroughs include nanoimprint lithography, quantized magnetic disks (bit-patterned media), self-perfection by liquefaction, ultra-small transistors, high speed photodetectors, subwavelength photonics, and nano-biosensors; his research has shaped new paths in these fields and has had significant impact in both academia and industry. Among other awards and honors, he is the recipient of the IEEE Brunetti Award, an IEEE Fellow, a Packard Fellow, and an inductee of New Jersey High Technology Hall of Fame. As an entrepreneur, he founded Nanonex and NanoOpto, and co-Founded BioNanoMatrix. 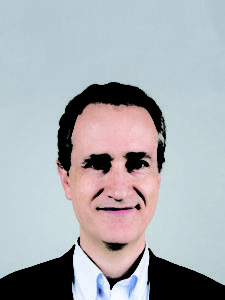 Federico Capassois the Robert Wallace Professor of Applied Physics at Harvard Univ., which he joined in 2003 after 27 years at Bell Labs where he became a Bell Labs Fellow and held several management positions including VP for Physical Research. His research has spanned a broad range of topics from applications to basic science in the areas of electronics, photonics, mesoscopic physics, nanotechnology and quantum electrodynamics. He is a co-inventor of the quantum cascade laser, which has now been commercialized. He is a member of the National Academy of Sciences, the National Academy of Engineering, and an Honorary Member of the Franklin Institute. He has numerous awards, including the King Faisal Inter. Prize for Science, the Berthold Leibinger Zukunftspreis, the Julius Springer Prize for Applied Physics, the APS Arthur Schawlow Prize, the IEEE Edison Medal, the Wetherill Medal of the Franklin Institute, the OSA Wood Prize, the Materials Research Society Medal, the Rank Prize in Optoelectronics, the IEEE David Sarnoff Award, the IEEE-LEOS Streifer Award, the LVMH Leonardo Da Vinci Prize, the Welker Medal. He is a Fellow of OSA, APS, IEEE, SPIE, IOP and AAAS. David Carlson received a B.S. from RPI in 1963 and a Ph.D. from Rutgers in 1968. He then worked as a R&D Physicist at the U.S. Army Nuclear Effects Laboratory, and served as a Captain in charge of 110 men at a communications site in Vietnam. In 1970, he joined RCA where he received Outstanding Achievement Awards. He invented the amorphous silicon solar cell in 1974 and was the first to demonstrate that hydrogenated amorphous silicon could be used to form a semiconductor junction. For this work, he received the Ross Coffin Purdy Award of the American Ceramic Society. In 1983, he joined Solarex (merged into BP Solar in 1999) as the Director of Research and Deputy GM of the Thin Film Division; he is currently the Chief Scientist and the Manager of Future Technology Programs. He has received numerous awards for his pioneering work and leadership in photovoltaics, including the IEEE Morris N. Liebmann Award, the Franklin Institute’s Walton Clark Medal, the William R. Cherry Award, and the Karl W. Boer Medal (from the Inter. Solar Energy Society and the Univ. of Delaware). He is also a Fellow of the IEEE. 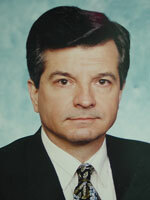 Richard G. Baraniuk is the Victor E. Cameron Professor of Elec. and Comp. Eng. at Rice University. His research interests lie in new theory, algorithms, and hardware for sensing and signal processing. His work on the single-pixel compressive camera was selected by the MIT Tech. Review as a Top 10 Emerging Technology for 2007. He is a Fellow of the IEEE and AAAS and has received young investigator awards from NSF and ONR, the Rosenbaum Fellowship from the Isaac Newton Institute of Cambridge Univ., the ECE Young Alumni Achievement Award from the Univ. of Illinois, and the Wavelet Pioneer Award from SPIE. For his teaching and education projects, he has received the George R. Brown Award at Rice three times, the C. Holmes MacDonald National Outstanding Teaching Award from Eta Kappa Nu, the Internet Pioneer Award from the Berkman Center for Internet and Society at Harvard Law School, and the World Technology Award for Education. He was selected as one of Edutopia Magazine’s Daring Dozen Education Innovators in 2007. The non-profit open-access educational publishing project Connexions (cnx.org) he launched was a Tech Museum of Innovation Laureate in 2006. Abstract: The evolution of the Internet has been an example of a complex and exciting interplay of technical advances and political actions. Prof. Farber, a long time player in both these activities, will explore this interplay as an indicator of the future directions in Internet development. He will explore the likely next major steps forward in technology and how it may dramatically change the structure of the Internet. He will explore how the current FCC hearings may impact this technical change. Finally he will explore what the impact will be on our culture and on the life of our children. 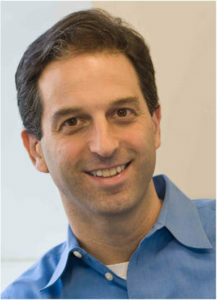 David Farber is Distinguished Career Professor of Computer Science and Public Policy at Carnegie Mellon University. He retired in 2003 as the Alfred Fitler Moore Professor of Telecommunication Systems at the University of Pennsylvania. 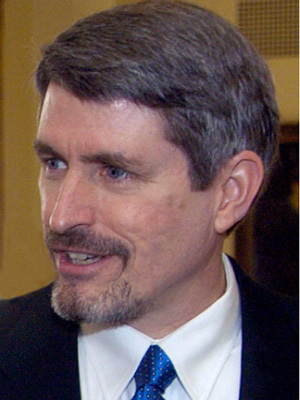 While at Penn, he took a leave of absence to serve as chief technologist at the FCC in 2000. Farber graduated from Stevens Institute of Technology in 1956 and then worked at Bell Laboratories, where he helped design the first electronic switching system and co-designed the programming language SNOBOL. His early academic research work at the University of California at Irvine focused on creating the world’s first operational Distributed Computer System. He then helped conceive and organize CSNet, NSFNet and the NREN while on faculty at the University of Delaware. Prof. Farber has served on a number of advisory boards and is a Fellow of both the ACM and the IEEE. He was named in the 1997 edition of the UPSIDE’s Elite 100 as one of the visionaries of the field and in the 1999 Network World as one of the 25 most powerful people in networking. In 2002 he was named by Business Week as one of the top 25 leaders in E-Commerce. Sergio Verdú is the Eugene Higgins Professor of Electrical Engineering at Princeton University where he teaches and conducts research on information theory. 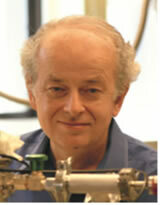 He was elected a Fellow of the IEEE in 1992 and a member of the National Academy of Engineering in 2007. He received the 2000 Frederick E. Terman Award from the American Society for Engineering Education and the IEEE Third Millennium Medal in 2000. In 2005, he received a Doctorate Honoris Causa from the Universitat Politecnica de Catalunya He is the recipient of the 2007 Claude E. Shannon Award and the 2008 IEEE Richard W. Hamming Medal. In 1998, Cambridge University Press published his book Multiuser Detection. His papers have received several awards: the 1992 IEEE Donald Fink Paper Award, the 1998 Information Theory Outstanding Paper Award, an IEEE Information Theory Golden Jubilee Paper Award, the 2000 Paper Award from the Japan Telecommunications Advancement Foundation, the 2002 Leonard G. Abraham Prize Award in Communications Systems, and the 2007 IEEE Joint Communications/ Information Theory Paper Award. Integrated circuits made from superconductors can realize a wide variety of non-linear reactive microwave devices. Since they are also very low loss, the laws of quantum physics apply and tell us that these devices should exhibit a discrete spectrum of energy levels, almost like isolated individual atoms. Experiments have strikingly confirmed this. Qubits, quantum two-level systems which are the basis of quantum information processing, have been created using these integrated circuits, and a precision quantum science is rapidly growing up in this area. Full exploitation of this cutting-edge science has required mastery of low-temperature electronic techniques, and the application of basic principles of analog microwave devices formulated in electrical engineering more than fifty years ago. 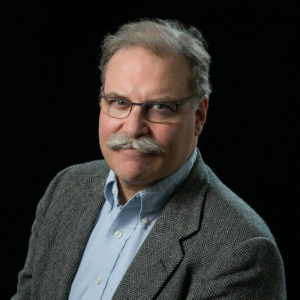 David DiVincenzo has been a Research Staff Member in the Physical Sciences Department at the IBM T. J. Watson Research Center in Yorktown Heights, NY, since 1985. He has worked throughout his career in various problems in condensed matter physics. Since 1993, he has explored quantum information theory and the physical realizations of quantum computers. In particular, he is known for proposing a set of five criteria (commonly called DiVincenzo’s checklist) for the physical implementation of quantum computers. 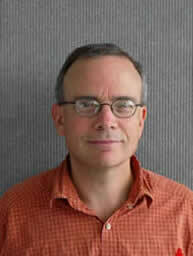 He is a Fellow of the American Physical Society and the Editor-in-Chief of the Virtual Journal of Quantum Information. 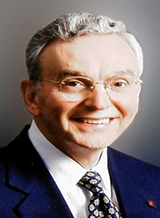 Dr. DiVincenzo received his Ph.D. (1983), M.S.E. (1980) and B.S.E. (1979) from the University of Pennsylvania. ABSTRACT: The U.S. utility sector is in the midst of the most significant period of change since the days of Thomas Edison. In about half of the U.S. states, there has been a fundamental change in the regulatory structure. Concerns about climate change have discouraged construction of new generating facilities. A so-called nuclear renaissance remains hypothetical. The near-collapse of the U.S. financial system has severely restricted available capital. Still, the U.S. lacks a cogent energy policy. The chairman of one of the nation’s largest electricity companies will discuss the challenge of exceeding customer expectations and growing value for shareowners when the fundamental underpinnings of the business are in a state of flux. BIO: James Miller, chairman, president and chief executive officer of PPL Corporation, has more than 35 years of experience in the electricity industry. Before joining PPL, Miller was executive VP of USEC Inc. in Bethesda, MD, an international supplier of enriched uranium to nuclear utilities. Previously, he was president of ABB Environmental Systems, which supplied air pollution control equipment for the power industry, and ABB Resource Recovery Systems, which specialized in the design, construction and operation of waste-to-energy plants. He also served as president of the former UC Operating Services, an unregulated subsidiary of Constellation Energy and Louisville Gas and Electric Co. He began his career in the electricity industry at the former Delmarva Power & Light Co., where he held various engineering and management positions. 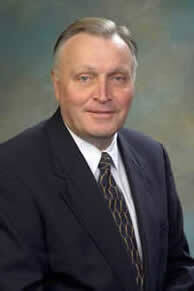 Mr. Miller is a member of the boards of directors of several energy-related and community organizations. In addition, he is on the leadership team for Education 2010, which is dedicated to improving education in Allentown, PA. A native of Wilmington, DE, Miller received his BS in electrical engineering from the University of Delaware. Many of our recent lectures have been recorded and are available to view online.